The German University in Cairo is a state-of-the-art international institute aims at offering the finest and the highest level of technical education in the fields of Engineering, Pharmaceutical Industry, Management, and Applied Arts. GUC is the first German university outside Germany that offers profound curricula and practical experience through conducting research in Egypt and in Germany. GUC operates highly advanced labs and offers extra-curricular activities that shapes international calibers. It is the only integrated German university outside Germany that has 3 Bologna cycles, namely B.Sc., M.Sc. and Ph.D offering 71 study programs (31 undergraduate and 40 postgraduate). GUC graduates proved to be up to the expectations. They occupy leading positions around the world. A lot of graduates either start their own business as entrepreneurs in different fields or they work in international firms in Egypt. Middle East, and in Europe. GUC graduates join research teams in Germany and in Egypt through the strong collaborations with international symposiums, research institutes, and international bodies. GUC is always proud of the graduates’ success stories. The Student Career & Alumni Development supports the graduates, alumni, and students in the career pursue. Summer internship is a must to every GUCian to assist him/her to utilize all the theoretical concepts and technical skills learnt. Some training opportunities are offered in Germany which enhances communication skills, linguistic skills, independence, and adaptation to different culture. The GUC is a not-to-miss educational opportunity in Egypt whether to undergraduate or graduate students. 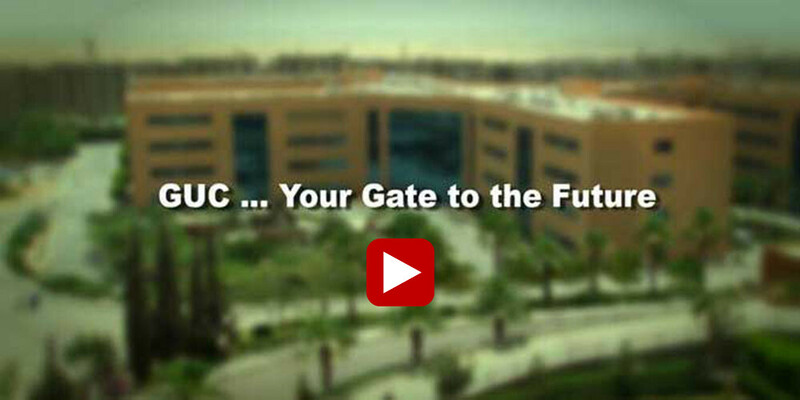 The GUC offers MBA programs to its staff and to any graduate of other universities. The program doesn’t focus on fragmented managerial knowledge, but stress a systems view. It delivers insights from different managerial mind-sets combine knowledge about various functions of an enterprise into a comprehensive whole.